The New Paper Archives - I am a thinker, strategist, marketer, leader, innovator, visionary, opportunist, networker and the go-person for your business. Scientific Tradition, a Singapore-based healthcare company, is dedicated to the research and production of traditional Chinese medicine and healthcare products. Its GTJ Lingzhi products have obtained a number of product patents in Singapore. 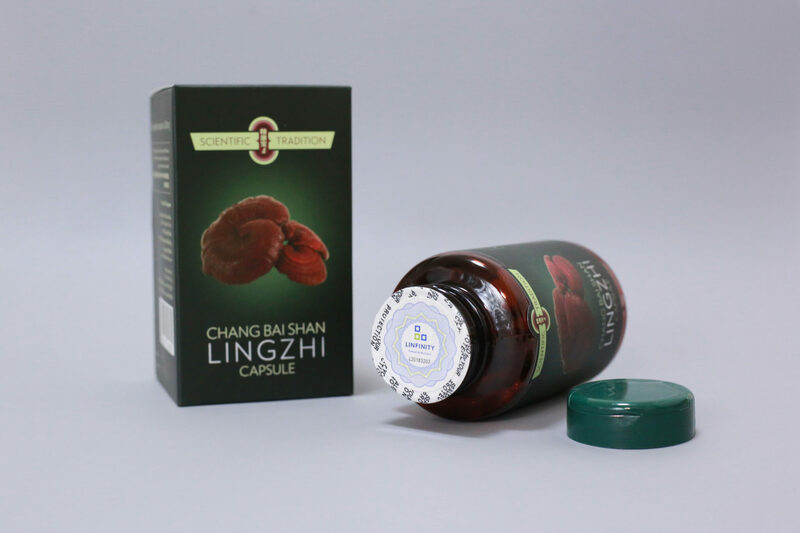 With extremely rare Lingzhi that is named after its founder, Dr. Jannie Chan, the owner take pride to protect her products and differentiate from the rest of the Lingzhi products in the market. LINFINITY’s decentralized Blockchain solution can help solve this issue. The centralized supply chain structure of traditional enterprises is the chief culprit of the “rampant counterfeit products” problem. Due to the complexity of ingredient circulation in the supply chain, the storage of product information is relatively concentrated, and the phenomenon of artificial tampering and swapping is even more common. In the industry 4.0 era, it is necessary for the current supply chain system to transform the various circulation nodes in the production process into the direction of informationization, dataization and intelligence to achieve the goal of seamless linking with modern enterprise commercial production activities. The emergence of blockchain has undoubtedly provided the possibility of industrial upgrading to the supply chain industry. 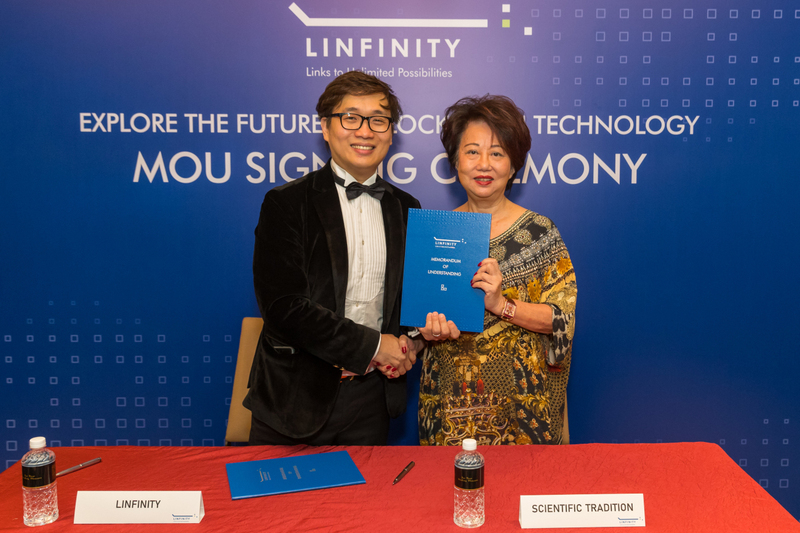 On May 31, 2018, Scientific Tradition and LINFINITY signed a strategic cooperation agreement at WealthBriefingAsia Awards 2018, and selected its flagship product as the pilot product of the first phase experimentation, expecting to protect its patented technology and to ensure its product quality through blockchain technology, thus providing genuine products to customers. Since LINFINITY team has been conducting a on-the-spot investigation of the commercial ecosystem of Scientific Tradition for several months, starting in June. Several trials were conducted with the Scientific Tradition R&D and production team, and in October, the customized DApp Beta1.0 for Scientific Tradition was officially launched. As the region’s leading blockchain commercialization case, Singapore The New Paper made a special report on the progress. This also has a milestone significance for the commercialization of LINFINITY technology, which also means that LINFINITY anti-counterfeiting traceability technology has entered a new stage of full-scale commercialization. Next, LINFINITY will upload the information of Scientific Tradition’s Lingzhi healthcare products onto the blockchain. In short, it is to pack and upload the data of products, such as the origin, production date, logistics, distribution and other information, onto the LINFINITY blockchain. When the consumer purchases a blockchain-powered item, all information of the product can be queried by scanning the QR code to verify the genuineness of the product. In version 1.0, LINFINITY built a decentralized information management system for Scientific Tradition, which successfully completes the information upload process. First, the system automatically recognizes and divides the product information into three parts: static information (such as product name), dynamic information (such as production date, batch number) and image information (such as product image or video), and stores them in a IPFS database. Meanwhile, all product information is uploaded to the sub-chain of LINFINITY, and a unique QR code is generated for each item stored. Customers can use LINFINITY DApp to scan the QR code on the product for detailed information. The scientific Tradition supply chain ecosystem built on blockchain makes product information more transparent and product flow more secure as well as makes it clear to consumers that the details of the products purchased are well documented, greatly reducing the number of fake and inferior products. In the next research and development period, LINFINITY will continue to steadily carry out the pilot work of anti-counterfeiting and traceability in combination with AI and IoT technology. “We need to change the way we do things, which will help the technology to be more integrated. The Internet of Things allows multiple trusted devices to connect to and communicate with each other. Artificial Intelligence ensures reliable input information, which will further enhance the integration of blockchain and traditional industries, creating a trust bond built by enterprises, businesses and consumers,” LINFINITY CEO Anndy Lian shared at the special interview by The New Paper in Singapore.